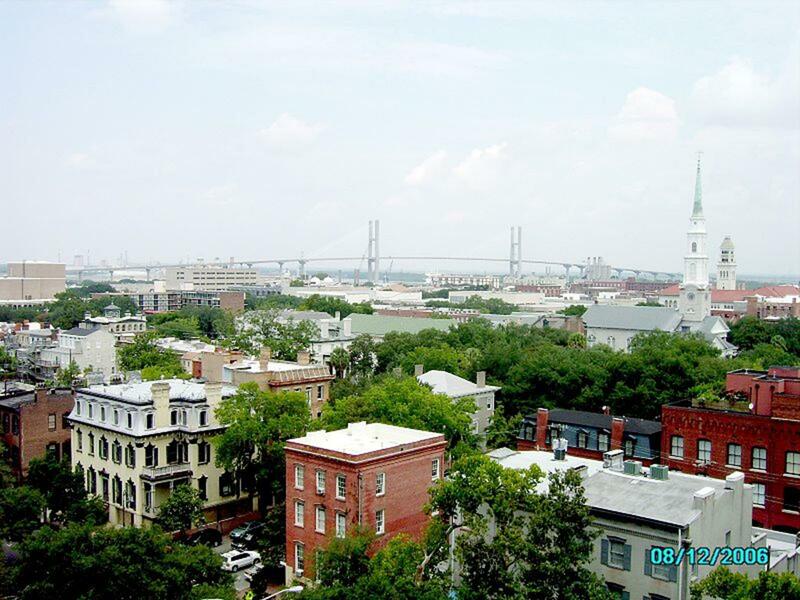 Known as the “Hostess of the South,” Savannah, Georgia, is one of the most popular travel destinations in the region. Its rich past can be explored in the city’s historic district, which houses antebellum mansions, churches and public squares with famous fountains. For a nice time at the beach, student travel groups can head out to nearby Tybee Island. Youth travelers can also explore the area on trolley tours and boat cruises. 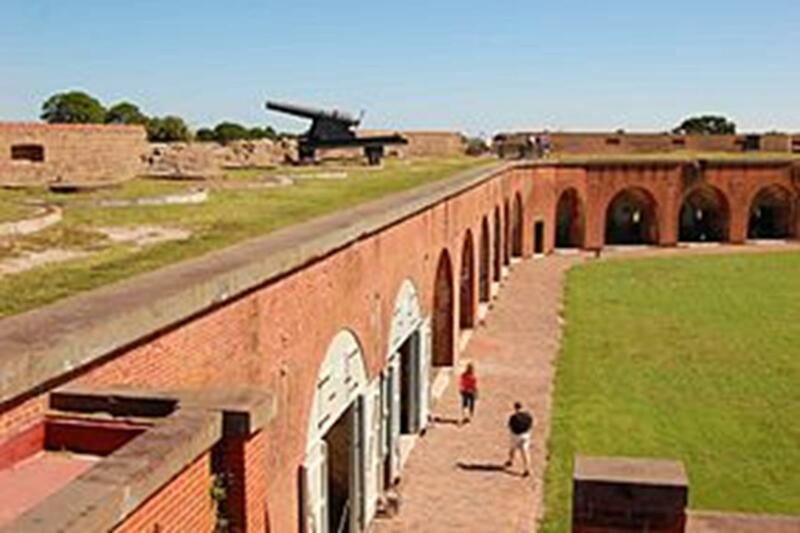 Fort Pulaski National Monument offers daily guided tours and rifle firings. Students can catch a cannon firing presentation every Saturday. Over 10 endangered species inhabit the surrounding area, including bald eagles and loggerhead sea turtles. Nature walks are available as well. Old Fort Jackson can be toured, and it features a cannon demonstration during summer season. The view from the ramparts, which overlook the Savannah River, always amazes visiting groups. A short movie describes the history of the fort, and exhibits include weapon displays. Savannah History Museum, located in an old 19th century railway shed, contains over 10,000 artifacts. A video presentation gives a historical overview, and exhibits range from Forrest Gump’s bench to Revolutionary War items. The Roundhouse Railroad Museum, saved in the mid-20th century from demolition, has historic train artifacts, locomotives and steam engines. Telfair Academy, once the mansion of Alexander Telfair and now one of the oldest museums in the South, contains over 4,500 objects, including paintings, photography and sculpture from the 18th century onward. Ships of the Sea Maritime Museum possesses a collection of over 150 ship models, artifacts and paintings in the former home of the president of the Savannah Steamship Company, William Scarbrough. Owens-Thomas House, originally the home of cotton merchant Richard Richardson, had many owners and distinguished guests, including a Revolutionary War hero and a friend of George Washington, Marquis de Lafayette. Decorated in English Regency style, the house features antique objects. The grounds include a garden and carriage house. Wayne-Gordon House, the birthplace of Juliette Gordon Low, was the first home of the founder of the Girl Scouts of America. Andrew Low House, home of a wealthy cotton merchant, was later owned by Low’s son, who was married to Juliette Low. Green-Meldrim House, a Gothic Revival mansion first owned by Charles Green, became headquarters of Gen. William T. Sherman during his stay in Savannah. Mercer Williams House Museum, home of Gen. Hugh W. Mercer, features original furnishings, portraits, drawings and a collection of Chinese porcelain. 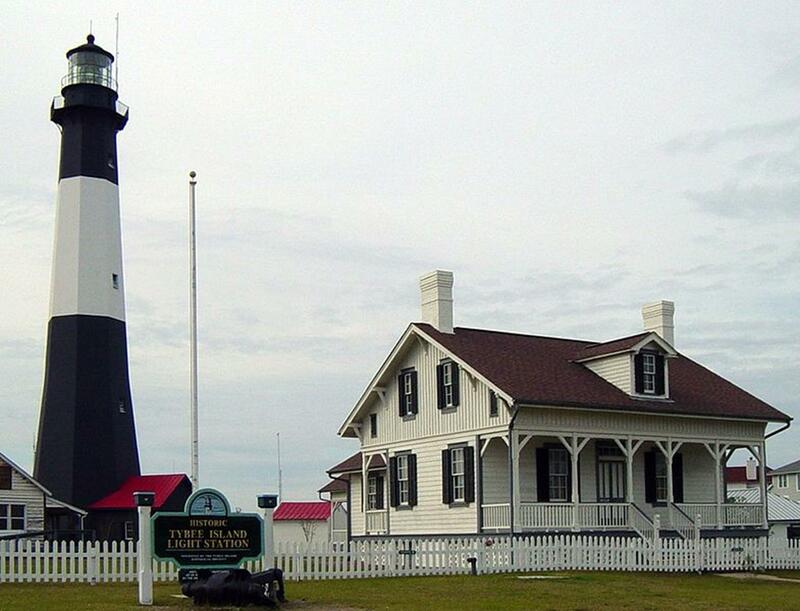 Tybee Island, Savannah’s premier beach, provides a relaxing time with many restaurants, shops and hotels nearby. Students can also book Tybee Island Lighthouse tours. Tybee Museum features collections of items representing about 400 years of the island’s history. Tybee Island Marine Science Center offers educational programs for groups, including animal interactions and nature walks. The University of Georgia Marine Education Center Aquarium features exhibits with native animals. Presentations, tours, laboratory experiences and field studies are available to student groups. Oglethorpe Trolley Tours offers “Historic Savannah Trolley Tour” and “Historic Savannah Haunted Trolley Tour.” Old Savannah Tours also takes students on a guided trolley ride. It provides historic tours, ghost tours and tours themed around Savannah celebrity cook Paula Deen. Savannah Riverboat Cruises offers narrated sightseeing and meal cruises. Carriage Tours of Savannah, the city’s first horse carriage tour company, offers one-hour tours, which include history and ghost tours. The Ghosts & Legends of Savannah, a 90-minute guided walking tour, visits the most haunted landmarks in the area. Trustees Theater, a Savannah College of Art and Design venue, offers the most affordable rates with lighting, sound and other amenities. Arts Council of Beaufort County offers an affordable venue for performances and gallery shows. Savannah State University offers seven top-notch venues in the John F. Kennedy Center for the Performing Arts. St. Patrick’s Day Celebration on the River, held in mid-March, is the most popular event in Savannah. The second largest St. Patrick’s Day event in the U.S. offers games, food and live entertainment. Also in March, Savannah Tour of Homes and Gardens allows students to visit four to six private homes and gardens in a day. Sweet Potatoes Kitchen offers great meals under $8. Sandwiches, salads and tasty entrees satisfy diverse tastes. Mellow Mushroom makes great pizzas, plus calzones, hoagies and salads. Wiley’s Championship BBQ offers finger-licking barbecue plates, sandwiches of all sizes, appetizers and desserts. Papillote, a stylish French café, sells salads, sandwiches, soups and sweets that will make students crave for more. For delicious and affordable sushi, students should visit Hirano’s. It also offers soups, salads and appetizers. The Noodle Bowl makes the best noodles in town, served with a variety of meats. Savannah International Pensione provides affordable rooms with access to bike rental and free wireless Internet. Red Roof Inn – Savannah Midtown accommodates students with excellent rates under $60, wireless Internet and a continental breakfast. Super 8 Savannah also grants free breakfast, as well as wired and wireless Internet. Flat panel TVs with HBO and ESPN also appeal to students. Offering an abundance of Southern history, Savannah suits youth travel groups. Students will enjoy going back three centuries on a fun and educational adventure.